The reason for a structure such as this is simply because at one extreme we need to ensure structured preparation and delivery of education when the knowledge and qualifications conferred on attendees may be used to undertake significant activities – such as maintenance and weight & balance activities. 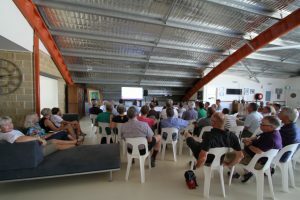 At the other extreme, we want to encourage less formal exchange of information, knowledge and skills such as may occur amongst seminar / workshop environments or gatherings in hangars and club rooms. 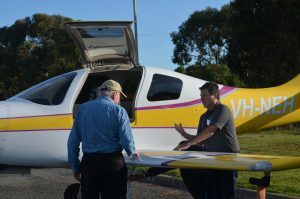 Training or education is critical to supporting our goal of achieving best practice safety outcomes, and accordingly the SAAA whilst relying greatly on volunteers contributes funding to these activities to minimise costs to our Members. Irrespective of whether these are CASA accepted or not, SAAA courses comprise a structured delivery of information, and constitute training where course documents include a syllabus or content, a set of outcomes, and may include a statement of limitations and qualifications, competencies or privileges that may be conferred on participants. This course is run over two full days and is offered as an initial, and a refresher (heavily discounted), course. The course provides Members with knowledge of the Regulations governing ownership and maintenance of an amateur built aircraft. This extends to learning about Advisory Circulars, Airworthiness Directives, Airworthiness Bulletins, Service Bulletins, sources and application of approved data and other Continuing Airworthiness requirements. There is focus on learning the legal responsibilities of owning an aircraft, where to find the relevant regulations and data, how to maintain good compliant records and log book entries, and how to prepare and use a maintenance release. All this is important to not only comply with the law, but also to abide by the conditions of your insurance policy. The end result is a safe, well-maintained, legal aircraft that will retain its resale value. A schedule of dates for the course, held generally in at least once in each State each year, is published from time to time. One course usually coincides with SAAA’s annual National Fly-In event. Course attendance can be purchased through the SAAA online Shop. Alternatively, bookings can be made with assistance from our Member Support Services team. Generally speaking, and whilst we understand the commitment to time and travel required for Members to attend classroom courses, we do encourage this as the learning process benefits from dialogue, discussion and sharing of experiences. 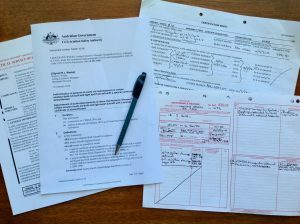 If a Member wants to maintain their own aircraft, an MPC certificate is required – period. SAAA offers the course on a highly subsidised basis, largely due to the volunteers that support the course delivery. Whilst refresher courses are not mandated by CASA, we do encourage Members to update their knowledge from time to time. If a Member wishes to participate in the Member Support Program, which we strongly encourage, and then wishes to also take advantage of the SAAA-QBE insurance offer, then maintaining the MPC qualification to within 3 years is also advantageous. The course content is also CASA accepted. It is available at all times an MPC course is run. However, the W&B qualification is only valid for 2 years, and so unless renewed as part of a MPC initial or refresher, then a Member must re-obtain their qualification – this is available through an online W&B exam. Refer to the gazetted MPC schedule for dates and locations. An online W&B Exam can be purchased through the SAAA online Shop. Alternatively, enquiries can be made through SAAA’s Head Office. If a member wants to conduct a weight and balance for an aircraft – they must, as mandated by CASA, have a current valid W&B qualification. This is an online course that is required to be passed before an SAAA Technical Counsellor can be appointed. The course can be accessed here: SAAA Technical Counsellor (TC) Course. The pass mark for this course is 90%. We encourage all Members to take this course – as it will provide insight into the TC role, and who knows – if you pass, you should may be put your hand up to become a TC! These activities are driven almost entirely by volunteers. 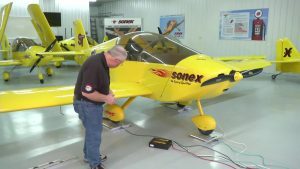 Some of these are brought to regional / national events such as the annual SAAA National Fly-In event, which typically host a program of workshops and seminars. As far as workshops are concerned, some of the most popular examples include metal work, composites and engines. Whilst these do not confer any specific qualifications on attendees, they are interesting and knowledge building that only serve to enhance Member skills and awareness. 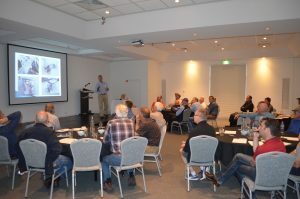 Seminars cover a wide range of subjects specific to SAAA activities but also include those made by other aviators and industry supporters who kindly offer their time and resources to share knowledge about anything from projects, to technical to products and services. As we develop more technical programs (such as the Schedule 8 maintenance program), it is the intention to deliver them via Chapter specialists. SAAA also runs webinars from time to time to support systems such as Risk Radar. These have been well attended and received, and accordingly other webinar programs will be developed to cover other systems and topics such as the Occurrence Management System. Run sometimes within a Chapter or sometimes as more of an occasion where neighbouring Chapters are invite to join in. It’s as much a part of education as it is a part of the fun and social aspects of being an SAAA Member. Builder’s nights – traditionally so called as often happen after business hours weekdays, but weekends are good too. They are great opportunities to go and see a colleague’s project – look, ask, suggest, learn. From the builders’ perspectives, project visits mean other pairs of eyes reviewing a project which acts to help catch any issues before they become expensive mistakes. 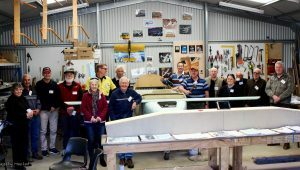 Projects from early beginnings to almost completed aircraft are of great interest to all. And it’s fun! Hangar talks, or just tea room chats –occur all the time. It’s all aviator talk – but we all love it, and we all learn. Some classic examples would be talking about wing cuffs over a cup of tea – what are they anyway someone may ask, and so the discussion follows and everyone is much the wiser. What do you mean Vne isn’t indicated? And so it goes on… As they say – what you don’t know, you don’t know – and we remain ever impressed at what comes of informal hangar talk!